KEN YUSZKUS/Staff photo. 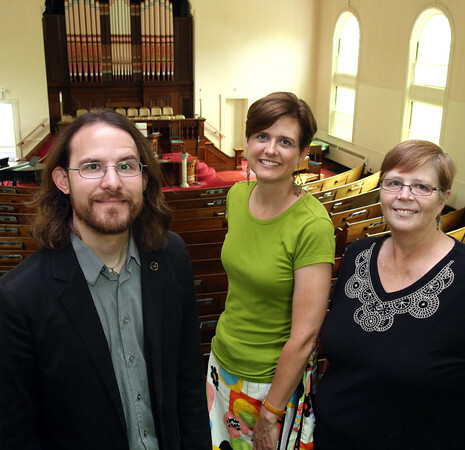 From left, First Parish Unitarian Universalist Church minister Kelly Asprooth-Jackson with church members Danielle Povey of Beverly and Patti Welch of Salem stand inside the church. The First Parish in Beverly and the First Universalist Society of Salem will merge together. 9/4/15.